With the release of Roberto Bolaño's The Savage Detectives in 1998, journalist Monica Maristain discovered a writer "capable of befriending his readers." After exchanging several letters with Bolaño, Maristain formed a friendship of her own, culminating in an extensive interview with the novelist about truth and consequences, an interview that turned out to be Bolaño's last. 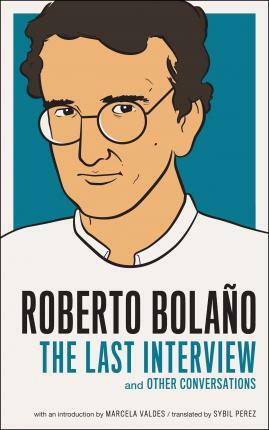 Appearing for the first time in English, Bolaño's final interview is accompanied by a collection of conversations with reporters stationed throughout Latin America, providing a rich context for the work of the writer who, according to essayist Marcela Valdes, is "a T.S. Eliot or Virginia Woolf of Latin American letters." As in all of Bolaño's work, there is also wide-ranging discussion of the author's many literary influences. (Explanatory notes on authors and titles that may be unfamiliar to English-language readers are included here.) The interviews, all of which were completed during the writing of the gigantic 2666, also address Bolaño's deepest personal concerns, from his domestic life and two young children to the realities of a fatal disease. "The real thing and the rarest." -Susan Sontag "By writing across the grain of his doubts about what literature can do, how much it can discover or dare pronounce the names of our world's disasters, Bolaño has proven it can do anything, and for an instant, at least, given a name to the unnamable." Roberto Bolaño (1950-2003) was a Chilean poet, novelist, and essayist. His translated work includes Amulet, By Night in Chile, Distant Star, Nazi Literature in the Americas, The Savage Detectives,2666, Last Evenings on Earth, The Romantic Dogs, and The Skating Rink. His last years were spent in Blanes, on Spain's Mediterranean coast. Marcela Valdes s a contributing editor at Publishers Weekly and the books editor for The Washington Examiner. In 2000, she co-founded Críticas, a U.S. magazine devoted to the coverage of Spanish-language books, and in 2009 she was awarded a Nieman Fellowship in Arts & Culture Journalism at Harvard University. Her writing appears regularly in The Washington Post and The Nation, among other publications. Translator Sybil Perez, a native of Chicago, is an editor at Stop Smiling magazine, a post she has held for over ten years.